Powerful Cloud web hosting to get your business online! Cheap Cloud Website hosting plans for your business.Reliable, flexible,and all-inclusive hosting for any size. With Premium Technologies, it doesn’t matter if you’re a newbie to the web community or an experienced web developer. All you need in order to create a website, brand or business from a scratch is here.Website builder and reliable server speed will help you create the kind of website you always wanted and easily maintain the quality of it. Join our online community of over 10 million clients and establish your online presence now. Why Hosting With Us ? We are the only company that offers you a Discount for Life! Your plan renewal fee will be the same as your initial plan price! We make sure that you enjoy the low prices as long as you stay with us. 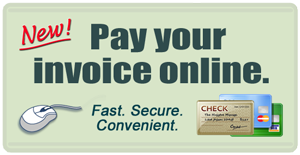 No hidden fees, no price changes. No any downtime,We will give you a discount, or even provide you with a month of FREE service, if we fail to meet our guarantee. We offer a free Top Level (com/org/net/info) Domain name as long as you host with us. We offer free Unlimited Sites/Domains SSL (256 bit) certificates increasing your search engine visibility by complying with the new Google ranking algorithm. Our data centers with industry leading N+2 redundancy are equipped with multiple backbone Internet lines with colocation, backup power diesel generators, backup tape libraries, 24/7 surveillance ensuring speed, safety, and redundancy. We stay on top of the latest technologies, and provide support for applications such as: PHP 7.1 ASP.NET, Python, Perl, MySQL 5, MS SQL, MS Access, Ruby on Rails, and JSP. We have 24/7 technical support, interactive step-by-step tutorials, and an extensive knowledge-base area. Because there is no great hosting without great technical support that cares about your website. You are fully protected by our 100% No-Risk Guarantee. You can cancel anytime, for any reason over the next 30 days, just let us know & we’ll send you an instant refund. No questions asked.